Philadelphia Phillies third baseman Maikel Franco. As opposed to recent seasons, the majority of the trade rumors surrounding the Phillies involve a marquee player coming to Philadelphia, rather than one leaving in exchange for prospects. That tends to happen in the latter years of a rebuild, which is where Phillies fans have to be hoping their team is at after several seasons near the bottom of baseball. And, with a 41-33 record following a series win over the Nationals — they'll go for the sweep on Sunday night in D.C. — there's no reason to think the Phillies will be the sellers they've been in the past. 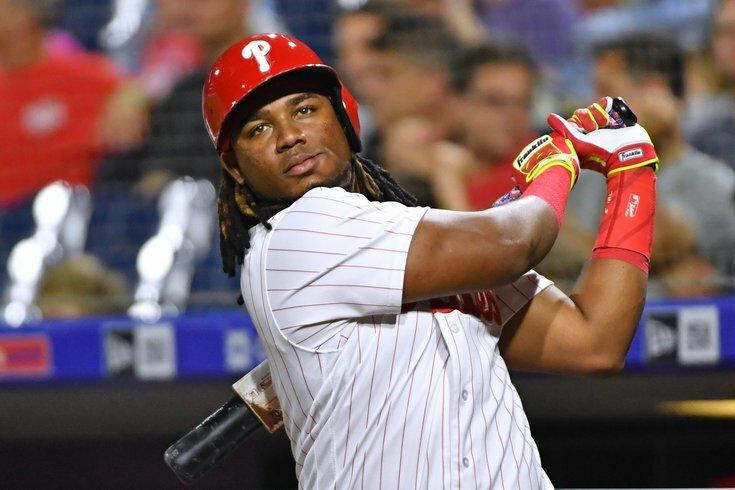 That being said, Matt Klentak and Co. will need to make some room for any new additions, and with so many young guys vying for time, there's a chance the odd man out is someone who has been on the big league roster for a few years now: third baseman Maikel Franco. Prior to his latest injury, J.P. Crawford had taken over as the everyday third baseman, meaning Franco, who is slashing .255/.297/.425 with nine home runs this season, has already seen his time diminish. But with Crawford sidelined for another month-plus with a fractured hand, that role returns to Franco. But, if the Phillies are indeed going after Manny Machado or Adrian Beltre — both players that they've been linked to recently — prior to the July 31 trade deadline, any such move would all but guarantee the end of Franco's time in red pinstripes. While Crawford's injury is disappointing from a developmental perspective, it does afford the Phillies the opportunity to play Franco on a more regular basis and possibly showcase him for any other interested teams. Of course, that means Franco must perform, otherwise his trade value could take a hit. Fortunately for the Phillies, he seems to be picking up some steam after going 4-for-4 on Saturday afternoon. In his last five games dating back to June 17, four of which he started, Franco is 7-for-17 with a home run, a double, 5 RBI and 3 runs while striking out just once.